The creation of Good Scrolls, its three websites, and associated blogs is an evolution of thought. All promote the same idea and have the same purpose. Be kind to each other and stay connected with positive communication. The concept is split into the three levels of existence. One is no more important than the other. When asked, Which organ is most important, the lungs, brain or the heart, the answer is obvious. You cannot live without one or the other. Family, friends or colleagues, are the body of which makes our life's whole. They are the physical connection to each other. 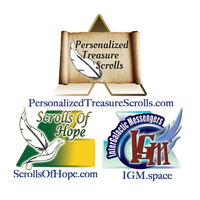 Personalized Treasure Scrolls is a means of regaining and sustaining relationships with the people you know. 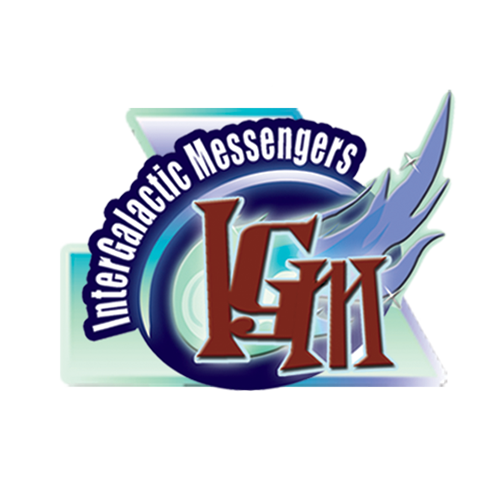 The InterGalactic Messengers grew from an idea to create a fun and exciting way to spread the word that it is time to change the way we see our place in the world. There are many people on this path, and we are sure more will follow. The goal is to help speed up the process and unite all the current efforts into one unstoppable force. Creativity towards a positive movement gives power to the mind. Giving of oneself is one of the most spiritually fulfilling activities you can do. 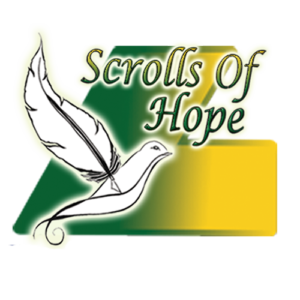 Scrolls of Hope is a way to give to those in need. To make a change, we must show genuine love for humanity and the world. You can share all you have with those around you as if there is an endless supply. Those who give of themselves find their potential to contribute to the world is limitless. 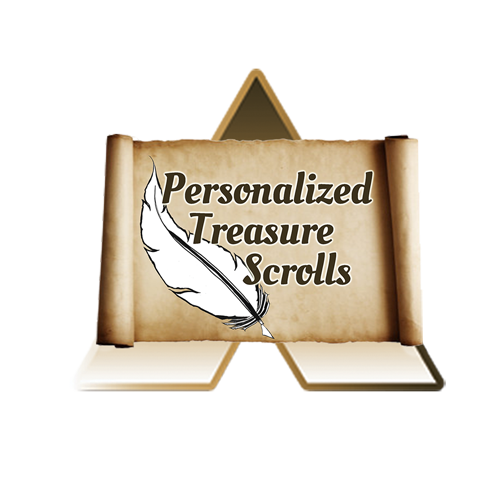 Personalized Treasure Scrolls is a heartfelt and fun gift-giving concept. Let a friend or relative know that you are thinking about them with a personalized scroll from you. Share messages of hope and inspiration or love and affection throughout the year. Written messages from you are imprinted on beautiful scroll paper then rolled-up and sent in collectible vintage bottles. The InterGalactic Messengers came from that need to do something about these seemingly unconquerable issues. As it turns out, the “someone” that needs to do something about it is you and I. These "problems" are resolvable. We all have to fix them together. Using the same media that bombards us with negativity and chaos we can all come together in a universal mindset and demand better from each other and those who we choose to lead us. Scrolls of Hope provides a warmhearted way for individuals or groups to personally reach out, to people in need, with continuous messages of support and encouragement. Through Scrolls of Hope, you can help improve the well-being of a child, patient or senior citizen who is in a hospital, nursing home, or hospice. Send them an uplifting message of goodwill written by you.